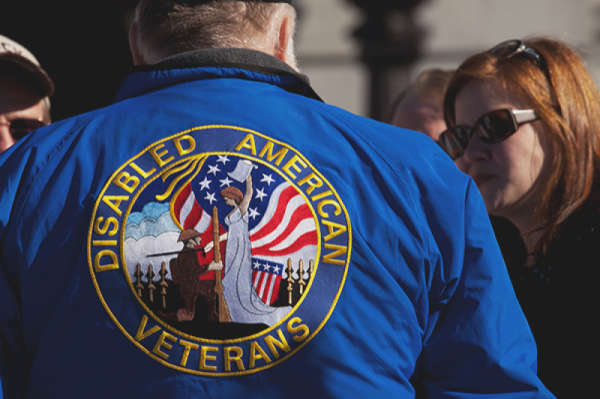 California Disabled Veterans: How to get the special benefits you are entitled to? Disabled veterans in California are entitled to special benefits that many may not be aware of. California is home to 1.8 million military veterans – almost ten percent of this country's veteran population. And, according to the California Department of Veterans Affairs (CalVet), the state is expecting to receive 30,000 more each year - more than any other state. If the statistics for California are consistent with national numbers, that means that 20% of those are disabled and of that group, almost 30% have a disability rating of 70% or higher. The CalVet website also recognizes that veterans' need for assistance is often immediately after discharge and once they age and require further medical care. For these disabled men and women who have served bravely and honorably in our armed forces and who require the most care, information is needed on what benefits they qualify for, how to apply, and what is needed to apply. Continuing our mission to support veterans, Inmyarea.com has extracted the information that follows from the CalVet website and numerous other resources to put everything in one place. California has many state benefits specifically for disabled veterans. From housing to recreation, there are benefits in some of the most essential areas where even the smallest amount of assistance is significant. Be enrolled in a qualified federal, state or private health insurance plan or have an application pending. Have a history of violence, mental illness, or a criminal record that would be a risk to yourself or others. The application is online at https://www.calvet.ca.gov/calvet-programs/veteran-.... Click on the home you'd like to apply to and hit 'apply today', then print. Along with the application, applicants are required to send their Form DD214, certificate of release or discharge from active duty, proof of California residency, copies of the front and back side of all your health insurance cards, and a copy of the last 12 months of medical history. Submit the application by faxing or mailing it to the home of your choice. Veterans have 90 days from the beginning of the year to file for 100% of the exemption. If recently disabled, the 90 days starts when the home becomes eligible for the exemption. Claimants must complete and submit Form BOE-261-G (Claim for Disabled Veterans' Property Tax Exemption). The form is available at your county assessor's office. There are a few things to keep in mind with this exemption. For the low-income exemption, it must be claimed annually. That is opposite for the basic exemption where claimants are only required to claim once. Also, for the low-income exemption, the annual filing periods are between January 1 and February 15 in order to receive 100% of the exemption, from February 16 to December 10 for 90%, and any time after December 10 of the current year to get 85%. Including what's on the form, claimants must include: name of person claiming, address of the property, a statement from the owner noting their intention to own and occupy the property as primary place of residence on next succeeding lien date, letter from the VA proving 100% disability rating, and proof of character of service. While they may seem duplicative, that is what they say on their website. No matter how confusing the government paperwork is, it must be done. In order to get the official Disabled Veteran's license plate, you must have a letter from the VA. Their website doesn't specify but bring proof of your military service to avoid the DMV runaround. In doing this research, a call to the DMV stated disabled veterans only need a letter from the VA and to bring a completed REG 195 form which is the application for a disabled plate or placard. Yet, the website states the form is REG 256A, the disabled veteran certification. To be safe, fill out both. Permanently and totally disabled veterans, meaning 100% disabled, can have registration fees waived for one car, or motorcycle, or commercial vehicle that weighs less that 8001 pounds unladen weight. Luckily for disabled veterans, California has a goal of awarding 3-5% of their state contracts to disabled veteran owned businesses through the Disabled Veteran Business Enterprise (DVBE) Program. The program does not provide assistance for starting a business but does have resources dedicated to veteran-owned business. Veterans with a service-connected disability rated at 10% or greater who own at least 51% of a business are eligible. The business must have its daily operations managed and controlled by one or more disabled veterans and the home office must be located in the United States. In order to participate in the program, business owners must be DBVE certified. Do so by registering via www.caleprocure.ca.gov to create an eProcure account. After registering, click on 'small business/disabled veteran business enterprise' then click 'get certified'. To get certified, business owners must submit copies of the business' federal income tax returns for the previous three years or for each year if less than three to the Office of Small Business and DVBE services (OSDS). The returns are especially important if the business is not a sole proprietorship and rents equipment to the state. Those businesses will be considered as equipment brokers if their returns are not submitted. For more information visit the DVBE Certification Eligibility requirements page here. Unlike most of the other benefits, an honorably disabled veteran with a 50% or higher disability rating may be eligible for reduced annual fees for fishing and hunting licenses. To prequalify, submit a letter from the VA proving your discharge and disability rating via email, fax or in person at any California Department of Fire and Wildlife license sales office. You must include a copy of your driver's license and GO ID number and your telephone number. To obtain a GO ID number you must create a customer record at https://www.ca.wildlifelicense.com/InternetSales/. Once your eligibility has been verified, you'll receive a notification from the Department allowing you to purchase a license for $7.30 anywhere licenses are sold.